…..but now they’re just ANGRY? ..and you feel like you’ve had enough? – (or maybe a past relationship ended because of the anger). What if – it wasn’t about the anger? But what if it wasn’t about the anger? What if it was deeper than that? 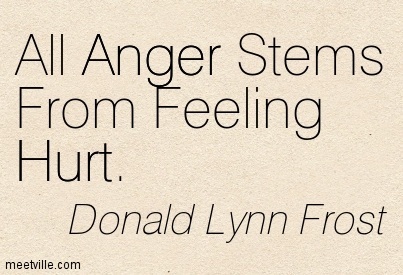 I believe that rarely does ‘anger’ stem from the immediate incident. …..it’s probably a deeper issue. Sometimes, even the person that’s angry, doesn’t know why they always seem to be angry. What if it stems from PAIN? That’s why it’s important as Emergency Service workers, & their loved ones….to understand some symptoms of ‘burnout’ & Post-Traumatic Stress Disorder (PTSD). If hearing so many stories about colleagues & former colleagues suffering with Post-Traumatic Stress Disorder, has taught me anything, it’s to empathise & try to understand that there are many symptoms that can be mistakenly seen as ‘isolated’ issues, and therefore the deeper cause can be left undetected for long lengths of time. …..has been a common comment that has been said to me. And in doing so; help someone get the help they need….earlier. The term ‘Burnout’ is used to describe the physical & emotional consequences of a highly stressful position. commonly begin about 5yrs from commencement of the role. ‘A particular set of reactions to an actual or perceived life-threatening event towards themselves or others’. – Withdraw from social interaction…’Just wanting to be by themselves’ a lot. WHAT IF, we were to respond with EMPATHY? *If you or someone you know experience any of these, or you are concerned at all…..please don’t hesitate to seek professional help: GP, counsellor, psychologist, staff support services etc*.